It is mud season here & I have a huge loop driveway. Paving that sucker is really out of the question in terms of affordability - at least until the kids are out of the house. Ha. Mud is my reality for a couple more weeks. Unfortunately, it means my car looks like I've been 'muddin' in the backwoods of Maine. Let me just tell you, my car looks so awesome sitting in the parking lot at HBS, sitting next to those nice new, shiny BMWs, Volvos, etc. Gotta love it. 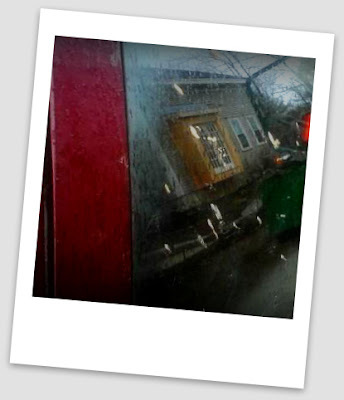 Today's photo is supposed to be sunglasses. It's rainy and gross this morning, so I really don't want to put on my glasses, but I'll surely share with you. I picked these babies up at my fave downtown Gardiner, consignment shop - Girltrend. 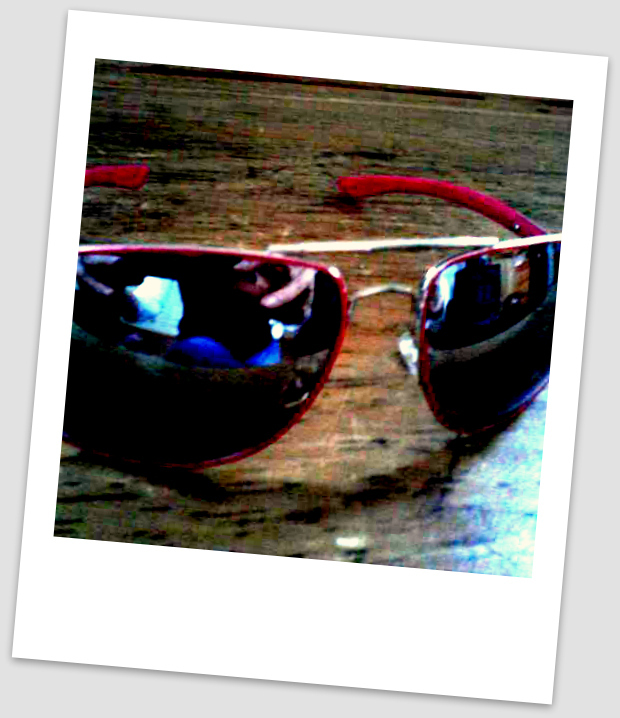 I bought them for my Reach The Beach relay team because our team name is Need Food Speed & would like to have aviator glasses. Don't you love these? Fun, cheesy & cheap. I also need to share with you a proud mamma moment. 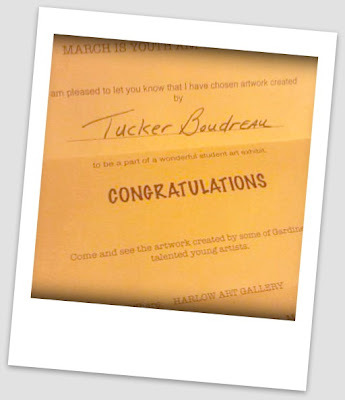 Tonight we'll be heading off to the Harlow Art Gallery in Hallowell to celebrate our little artist, Tucker. One of his art pieces was selected to be displayed at the gallery. And he was the only one in his class to be selected. I am incredibly proud of him and his accomplishment. Congrats Tucker! I love the reflection in those photos! I agree with Jill...that Boudreau talent is quite impressive!!! I look forward to checking out his masterpiece. Enjoy your celebratory dinner as well. Congrats Tucker! That is so cool:) My car is so dirty too. I don't want to get it washed though because it keeps raining and I know it will just get dirty again. Our school has their annual chili supper, art show and music program tomorrow night. I'm excited to see what our little artists have been up to (though everyone gets at least one piece in). I'm not as excited about the chili given the summer-like temps we've had this week. LOL Congrats to Tucker! Sorry to hear about all the mud. My car is always a muddy mess due to all the dirt and gravel roads I live on, seems like whenever I wash it, it just rains and gets all muddy again. Congrats to your budding artist, what an honor! Congrats! That's very exciting for your budding artist. Great photos and congrats to your little artist!